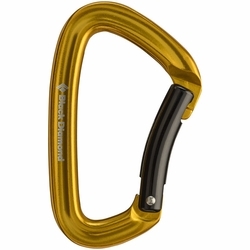 Black Diamond Positron Carabiner. Black Diamond's classic keylock carabiner for smooth clipping and cleaning. The Black Diamond Positron is a smooth operator for racking and placing stoppers or clipping and cleaning bolts.